Toruń [ˈtɔruɲ] ( listen) is a ceety in northren Poland, on the Vistula River. ↑ "Heritage Twin Towns". © 2003-2009 Swindon Borough Council. Retrieved 2009-02-16. 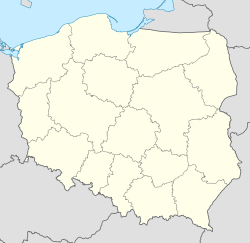 ↑ "Torun - Twin Town in Poland". www.swindon.gov.uk. Retrieved 2009-11-07. This page wis last eeditit on 11 Mairch 2018, at 11:04.